Maria van der Heijden, co-founder of Women on Wings, has been elected as one of the Board members of the Netherlands India Chamber of Commerce & Trade (NICCT) in June 2015. The NICCT promotes business relations between the Netherlands and India. Vipin Moharir, Chairman NICCT: “Maria brings extensive experience on areas of institutionalizing CSR & transparent Governance to the NICCT Board. Balancing people, planet & profit is the new challenge for modern, agile organizations and Maria’s experience both in the Netherlands and India puts her in the perfect position to provide guidance to our membership constituency & policy making. Moreover, her smile is contagiously inspiring ….”. 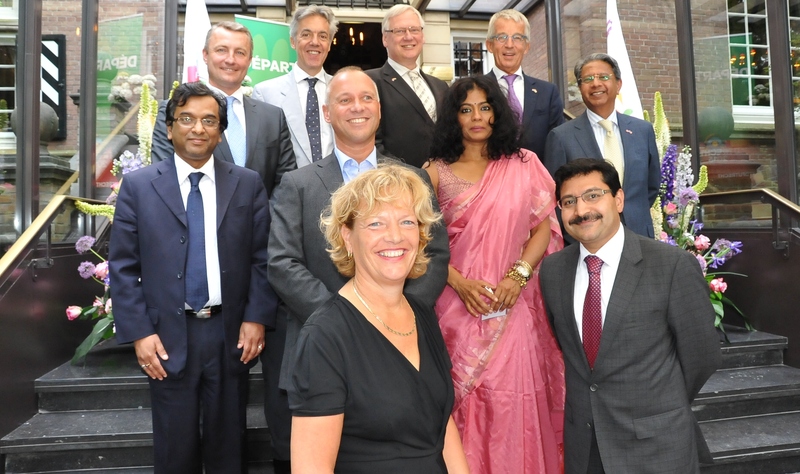 With more than 100 Dutch and Indian companies as members, NICCT informs, inspires and influences the eco-system of the business community between the two countries. The NICCT informs its members about relevant business developments in India and the Netherlands. The NICCT inspires its members by organizing various programs throughout the year and providing the opportunity for people to meet peers and build a network. The NICCT influences relevant stakeholders to optimize business relations between the Netherlands and India to the mutual benefit of both countries.